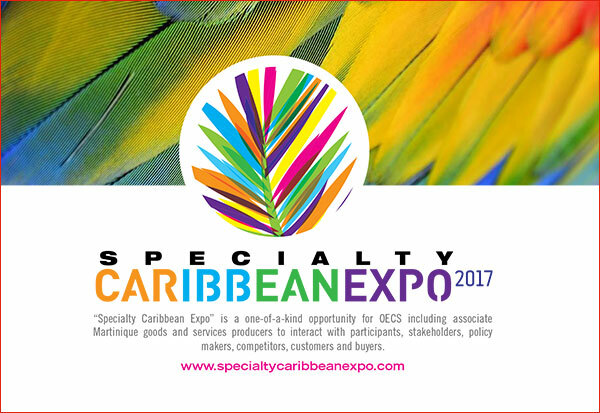 “Specialty Caribbean Expo” is a one-of-a-kind opportunity for OECS including associate Martinique goods and services producers to interact with participants, stakeholders, policy makers, competitors, customers and buyers. It is the Eastern Caribbean’s premier event of the year and is the platform to share ideas, network, solutions and transaction-oriented exchange. Specialty Caribbean Expo brings together rms, manufacturers and service providers of quality OECS products and services available in one location. The Saint Lucia Trade Export Promotion Agency (TEPA) in association with the Organization of Eastern Caribbean States (OECS) are the main organizers spearheading the planning and execution of the exposition. Saint Lucia is well positioned within the Caribbean region as the largest partner in the new Eastern Caribbean Single Market & Economy and remains well connected to major gateways in North America.